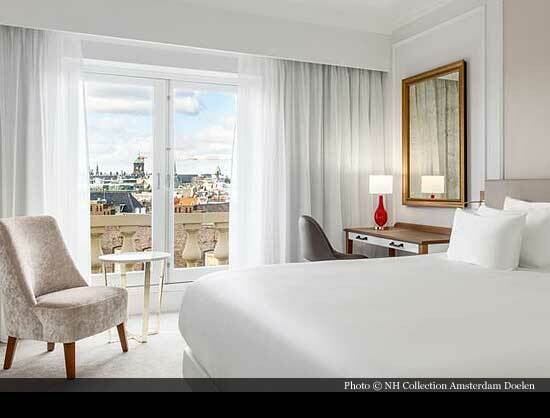 The Doelen Hotel is the oldest hotel of Amsterdam and belongs to the 200 new realm monuments. In 1481 they build the defence tower Swych Utrecht, it was part of the defence wall of Amsterdam. As from 1522 they used the tower as training space for the Kloveniers. In the Kloveniersdoelen, a tower what a component of the city wall was, they used “kolven” and rifles. That’s why they got the name “Kolveniers of Kloveniers”. The name Doelen arose from the Kloveniersdoelen. On the first floor in front of room 105 some things are left from the Kloveniersdoelen. The most famous compagny of the Kloveniers was the compagny of capitain Frans Banning Cocq. This man asked in 1642 to Rembrandt to make a painting of his compagny. In the Kloveniersdoelen Rembrandt painted one of his most famous paintings “De Nachtwacht”. 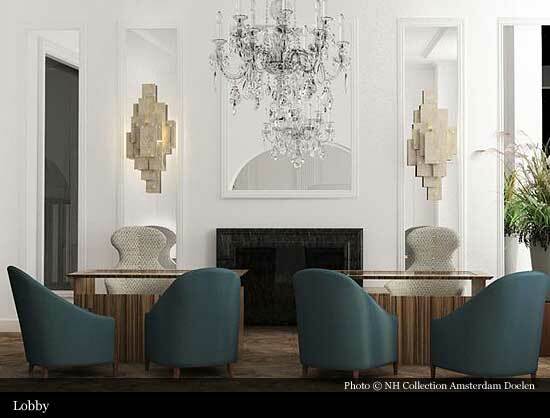 “De Nachtwacht” hung for lot of years in the Doelen before it was relocated to the Palace on the Dam what was then used as municipality house. 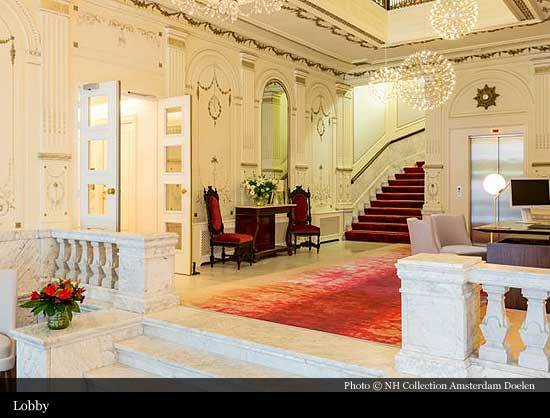 The old Kloveniersdoelen were used in the 17th century by the city hall for welcoming the guests and for big buffets. 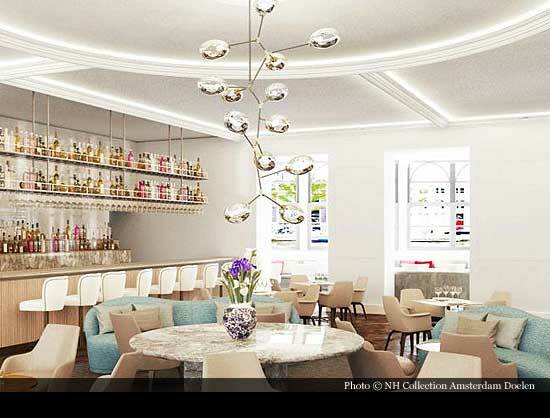 The old inhabitants of Amsterdam enjoyed the best kitchen and the nicest meals in the Doelen. Mostly the guests of the city were brought down over the night in this “gentlements logement”. 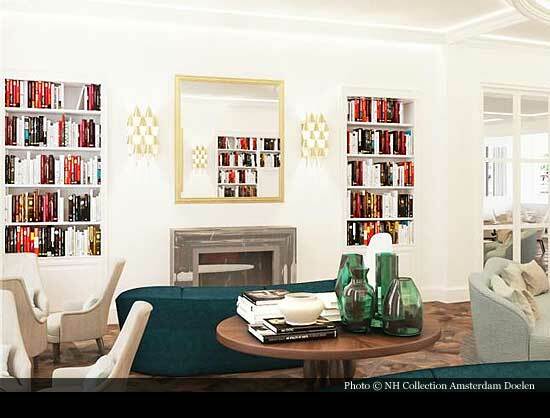 The first stones of the NH Doelen were laid down in 1819. The building as it is know was cultivated for the world exhibition in 1883. 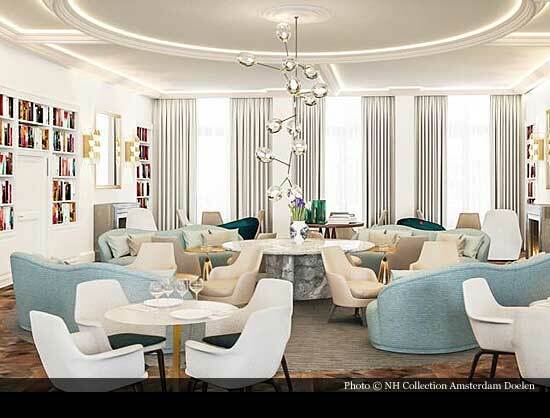 The owner was the architect J.F van Hamersveld and he got the assignment to change the hotel as it is know. 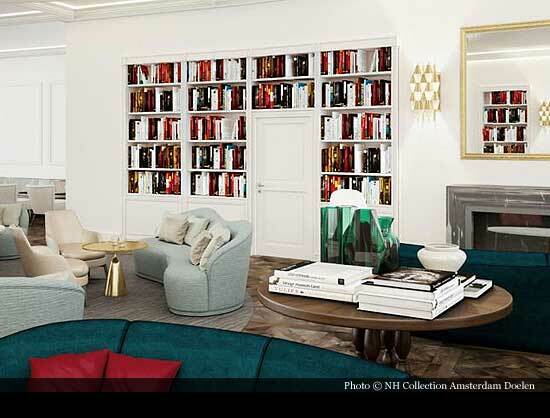 If you are looking from the north-side or from the side of the Binnen-Amstel you will get the best impression of the creation of J.F van Hamersveld. The best internal part of the hotel from the 19th century is the lobby with the marble stairs and the two big candlelights. The decorative paintings were made by G.H. Heinen who was also known for decorating the Royal waiting chamber of the Central Station. 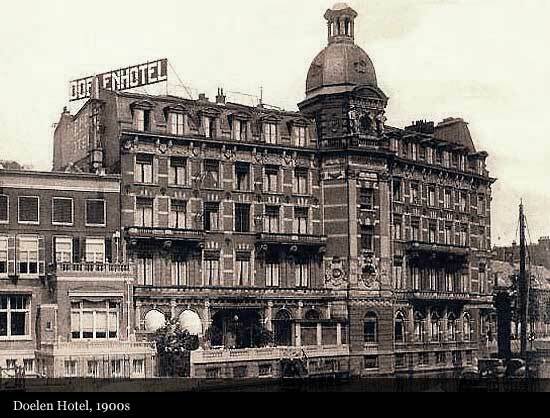 Around 1900 the Doelen Hotel was modernised by architects A.L van Gendt en Zonen. 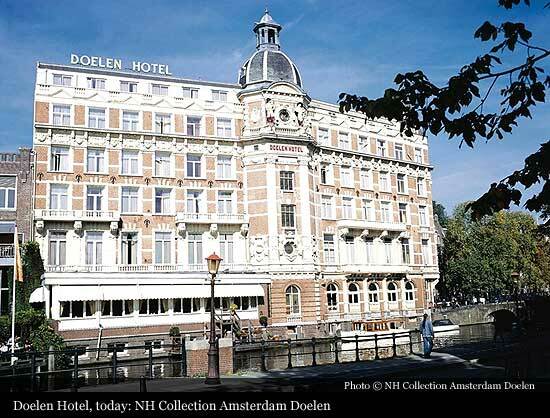 The Doelen is not only famous because “De Nachtwacht” was painted there, but also for the famous guest who stayed there, like Sarah Bernhardt, Lilly Langtry and the Beatles (during their only visit to the Netherlands). Some of the suites have the name of one of the famous people who slept there. Also Empress Sisi slept in the Doelen under the name of “Gravin van Hoynems”. 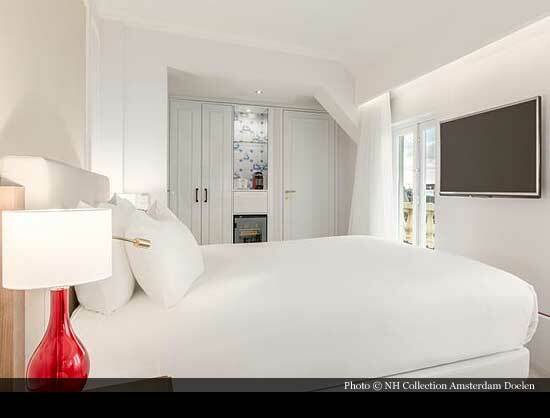 She came two times to Amsterdam to visit her “magnetiseur” and reserved 40 rooms for her and her clerks. She wanted her bath filled with water from the North Sea. This unique realm monument is of course provided of all freedoms what you are expecting of NH Hoteles. 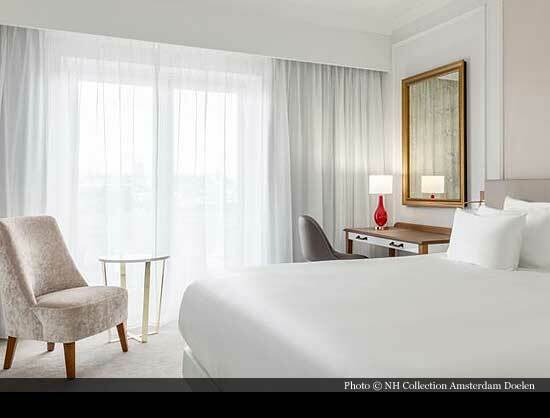 When you want to stay a night in one of the artistic rooms of NH Doelen, you are most welcome in the first and most famous hotel of Amsterdam.